Italian Beni di Batasiolo wines? Buy Beni di Batasiolo wine easily! The farms of Beni di Batasiolo are all located within the prized Barolo wine-growing area: Batasiolo, Morino, Cerequio and Brunate in La Morra; Boscareto and the historical Briccolina in Serralunga d’Alba; Bricco di Vergne and Zonchetta in Barolo; Tantesi and Bussia Bofani in Monforte d’Alba. Deciding to give the property a new name, the Dogliani brothers took their inspiration from the vineyard where the estate headquarters are located. 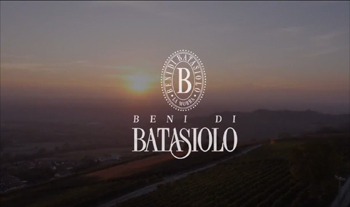 Thus it was that the new winery, set amidst the gentle contours of the Batasiolo vineyard, came to be called Beni di Batasiolo. The real essence of Beni di Batasiolo cannot be understood without admiring the expanses of its vineyards in the finest and most important wine-growing villages of the Langhe. In the old local dialect the word “beni” means a property or estate, and it is this idea of the unbreakable bond existing between the farmer and his vineyard which is encapsulated in the name “Beni di Batasiolo”. Batasiolo, the wine cellar which besides having all its vineyards in the heart of the Langhe, a land known above-all for its great reds, produces all the most celebrated wines grown in this region, including Barolo, Barbaresco, Barbera d’Alba Sovrana and Dolcetto d’Alba Bricco di Vergne, as well as great whites such as Moscato d’Asti Bosc dla Rei, Langhe Chardonnay Morino and Gavi del Comune di Gavi. This magnificent range is completed by the elegant Batasiolo Metodo Classico millésimé and the exclusive Moscato Passito Muscatel Tardì. Barolo is the emblem of the cellar’s production, its real pièce de résistance, and Beni di Batasiolo is proud to present as many as four different Cru grown on the privileged hills of Barolo, Monforte, Serralunga and La Morra: Barolo Bussia Vigneto Bofani, Barolo Boscareto, Barolo Cerequio, Barolo Brunate, and the winner of many awards, Barolo Briccolina.